Good kitchen knives are expensive. 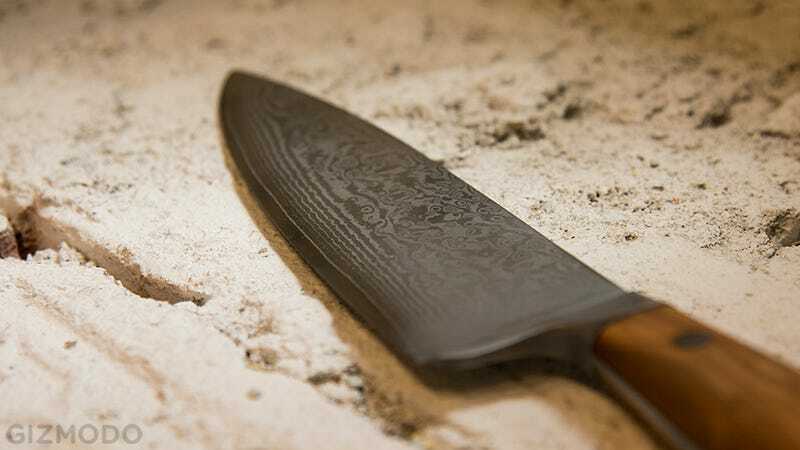 A top of the line Shun, for instance, can cost as much as £550. But one knife enthusiast promises to offer the same great quality knife for a fraction of the price. So I got a chef to try out the prototype. Indeed, the Bulat knife looks great. Made up of 67 layers of folded steel and polished just enough the preserve the beautiful texture of the metal, it’s designed to stay sharp and to cut smooth. I invited Nick Williams, executive chef at Littleneck in Brooklyn, to come to our kitchen and cut everything from a salmon filet to a coconut with it. He was impressed. Yes, it’s sharp. Yes, the cut is smooth. Yes, it’s very versatile. But what impressed Chef Nick the most was the price point: $120 (£89). 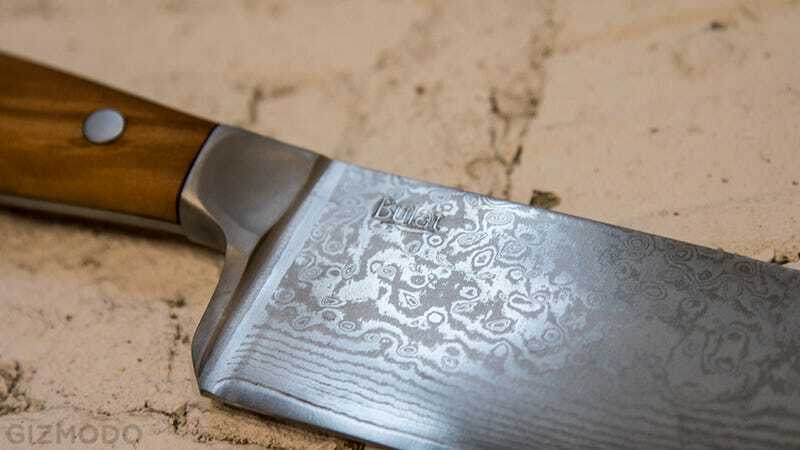 If you back the project on Kickstarter now, you can get a Bulat Chef’s Knife for $90 (£67). Here at Gizmodo, we’re always cautious about Kickstarter project. Products from splashy successful campaigns like Bulat’s sometimes end up getting delivered months late, if at all. Assuming the manufacturing process goes smoothly, however, this might be the last knife you ever buy. Unless you’re ultra rich and want to invest in an overpriced collection of blades forged from the same steel as a samurai sword.